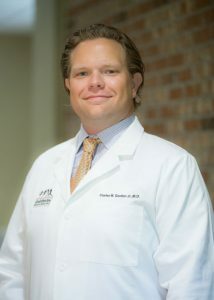 BALDWIN BONE & JOINT ANNOUNCES NEW FELLOWSHIP-TRAINED SPINE SURGEON, DR. CHARLES GORDON, JR.
DAPHNE, AL (August 16, 2018) – The physicians and staff of Daphne-based Baldwin Bone & Joint are pleased to announce the association of fellowship-trained spine surgeon, Charles Gordon, Jr., MD. Gordon recently completed a spine surgery fellowship with the University of Maryland’s distinguished R Adams Cowley Shock Trauma Center located in Baltimore, MD. His training in minimally invasive and robotic spine surgery techniques allow him to treat common spinal conditions with small incisions, less blood loss, less initial pain and most importantly a more rapid recovery and return to activities for patients. DAPHNE, AL (August, 17, 2018) – Doctors John L. Todd, Charles Gordon and Michael Chamblee, orthopaedic specialists with Baldwin Bone & Joint, P.C. and The Shoulder Center at Baldwin Bone & Joint, P.C, will discuss the common causes and treatment options for shoulder, spine, neck and hip pain in a 3-part community education series to be held on Thursday evenings in September. Each program will begin at 6:30 p.m. and will be held at the Thomas Medical Center – Community Room, located at 27961 US Hwy 98, Daphne, AL. DAPHNE, AL (June 21, 2018) – Greg Shoemaker, MBA, CMPE, Executive Administrator for Baldwin Bone & Joint, has earned the highly-respected professional designation of Certified Medical Practice Executive (CMPE) by the American College of Medical Practice Executives, the certification entity of the Medical Group Management Association (MGMA). Greg Shoemaker is the Executive Administrator of Baldwin Bone & Joint, P.C. Prior to joining the practice, Greg served as Executive Director for Infirmary Medical Clinics, Infirmary Health System, where he managed more than 60 physicians and their staffs in multi-disciplinary practices across 15 locations. 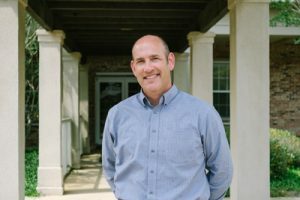 He brings more than a decade of practice leadership experience, having served in various executive roles in Alabama and Mississippi. DAPHNE, Ala. (June 15, 2018) – Dr. John Todd, orthopaedic surgeon with Baldwin Bone & Joint, located in Baldwin County, and medical director of The Shoulder Center, plans to attend the 35th Annual San Diego Shoulder Course to be held June 20-28, 2018 at the Hilton Bayfront in San Diego, CA. The purpose of the course is to provide strategies to equip physicians to provide the highest level of analytical, diagnostic, and treatment practice modalities specific to shoulder arthroscopy, arthroplasty, fracture management, and complex shoulder etiologies. Bringing together expert faculty, course content focuses on known best practice, latest technological advances, and evidence based research related to shoulder care. Daphne, AL (June 12, 2018) — Baldwin Bone and Joint announces the opening of a newly constructed and accredited MRI suite offering on-site MRI services. 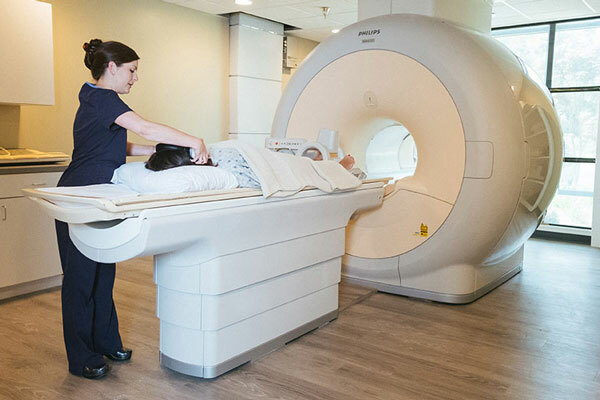 The MRI technology, Philips Achieva 1.5 Tesla MRI, provides the same advanced technology and digital imaging found at larger hospital facilities. Patients and family members benefit from convenient, prompt service and a dedicated, certified MRI technician to thoroughly explain the procedure during each visit. An added bonus is a provided headset allowing each patient to enjoy their favorite music during their MRI appointment. 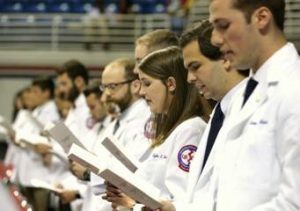 DAPHNE, AL (June 11, 2018) – Each year, the USA Medical Alumni Association sponsors the White Coat Ceremony and Gold Humanism Honor Society Induction Ceremony. 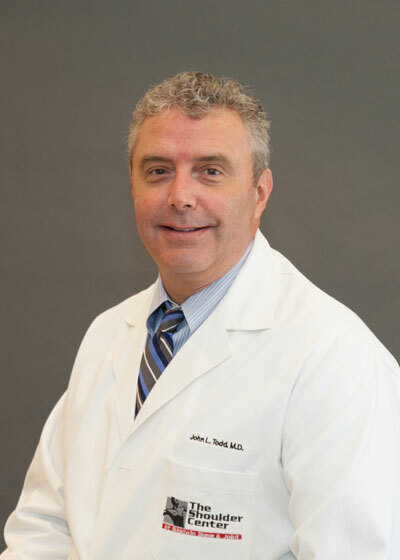 Dr. John Todd, orthopaedic surgeon with Baldwin Bone & Joint, located in Baldwin County, and medical director of The Shoulder Center will participate in the White Coat Ceremony scheduled for June 16 at the Mitchell Center, 2195 Mitchell Center Drive, Mobile, AL 36608 at 10:00 AM. Daphne, AL (May 31, 2018) – Baldwin Bone & Joint, located at 1505 Daphne Avenue, Daphne, AL will host a community blood drive on Monday, June 4 from 9:00 a.m. – 1:00 p.m. The LifeSouth Bloodmobile workers will offer all blood donors a recognition item and a free cholesterol screening. Donors who give blood twice between June 1 – August 31 will receive a beach towel. Donors must be 16 or older, weigh at least 110 pounds, and show photo I.D. 16-year-old donors require written parental permission. 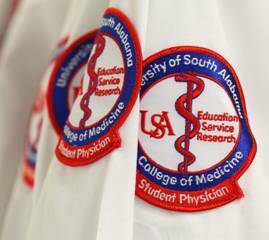 DAPHNE, AL (May 29, 2018) – On June 8-10, the Medical Alumni Association will welcome and honor the classes of 1978, 1983, 1988, 1993, 1998, 2003, 2008 & 2013 with a relaxing weekend to reconnect with friends, colleagues, and faculty while enjoying an array of engaging educational programs, leisure activities and the white sands of Pensacola Beach, Florida. At this time, the presiding President of the USA College of Medicine Alumni, Dr. William Blaylock, Urologist in Mobile, will pass the presidential torch to Dr. John Todd, Orthopaedic Surgeon and Medical Director of The Shoulder Center at Baldwin Bone & Joint, P.C., located in Daphne. Todd has served as an alumni board member for the past fourteen years. The weekend is open to all alumni and their families as well as community physicians in need of CME credits. The 2018 program offers physicians the opportunity to earn 8.5 CME credit hours. Specialized clinics available are The Center for Sports Medicine, The Shoulder Center at Baldwin Bone & Joint, and the Canale Spine Institute.